What Lauren Says: Lifestyle - Two gigs in one week & Update! A bit of a mixed post today but so far on my blog I haven't touched on any lifestyle really. 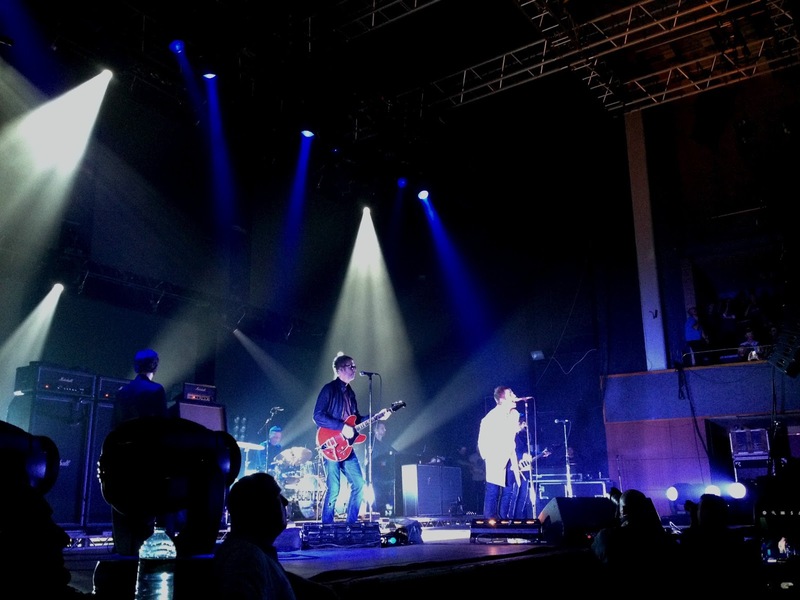 So on Monday straight after work I ventured off to see Beady Eye at Wolves Civic Hall. I hadn't been to the venue before and I really liked it, totally different to anywhere else I'd been before. So now some of you might be like "wait, who are Beady Eye?" Basically, they are Oasis but without Noel Gallagher. Now a lot of people don't like him but personally I love his arrogant attitude but to see Liam Gallagher, my male hero was so amazing. I was really expecting him to not sound very good as he is knocking on a bit now but I was proved wrong and it's one of the best gigs I have ever been to. 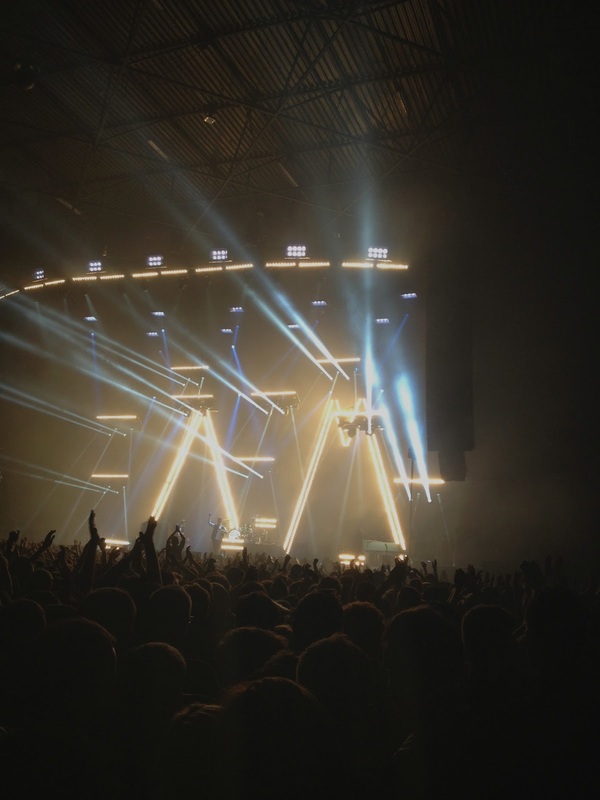 Then on Wednesday night it was off to Birmingham to see Arctic Monkeys at the LG Arena. Now if you are a bit clued up in the music world then you might know that originally this gig was cancelled very last minute. I was due to see them on Halloween but getting half way down the motorway to see they had cancelled wasn't leaving me very impressed. So they had a lot to live up and they certainly didn't let me down. A little young Irish band The Strypes were supporting them but after queueing for the shuttle bus from the car park and then for a few drinks it meant we only caught the last few songs (luckily I saw them back in July on their own tour though!) Back to the arctics anyway, oh my they were bloody brilliant. I do think it could be the best gig I have ever been to, certainly worth the wait. 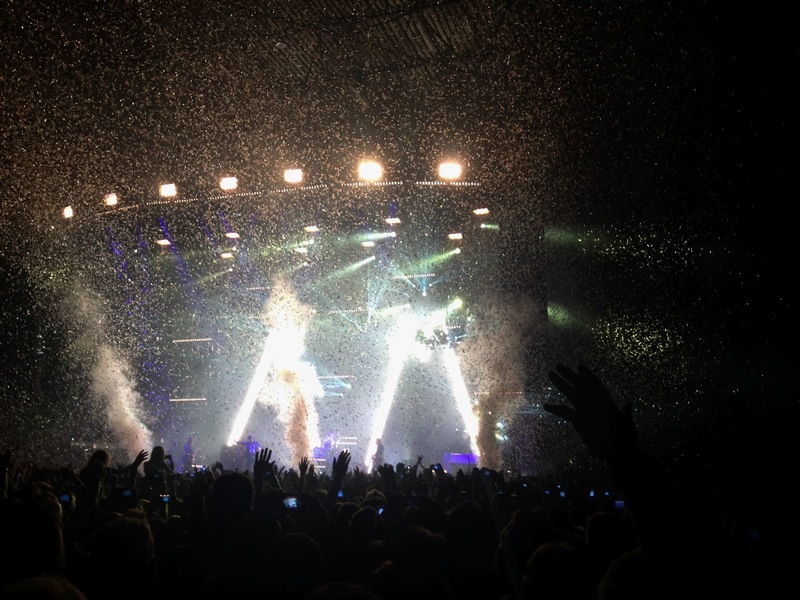 Everything about it, the atmosphere, the set list.. Everything. Managed to get a few pretty looking pictures as well on my phone! Now for the next bit.. If you have read my blog before and remember it you might notice I've given it a little makeover. I was never really happy with it originally so I redesigned it and now I'm pretty happy, for now anyway. 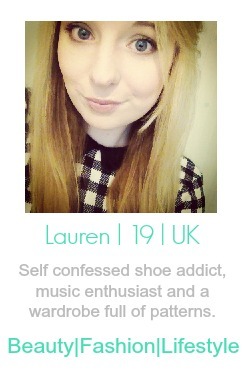 Along with my new blog design I've decided to make both a Twitter and Instagram pages for my blog. Most simply because I want to keep my personal ones separate from my blogging bits and bobs. You can find my Twitter page HERE and my Instagram page HERE. And don't forget I am going to be blogging everyday of December so following me on a few platforms will let you know when my posts go live or will be going live as well! I love Oasis but I don't have the energy to care anymore. It's sad really. I'm so jealous that you saw Arctic Monkeys! They're so fantastic! I love Arctic Monkeys! Lucky!